A week ago, we saw a rumor circulating online that suggested Fallout 76 was going free-to-play. It stemmed from reports of the game’s copies being removed from stores in multiple countries, including EB Games Australia and some international GameStop outlets. When Bethesda officially denied the rumor, many speculated that stores were probably claiming rebate considering Fallout 76‘s poor sales. A new report of an offer at GameStop Germany seems to support that theory. 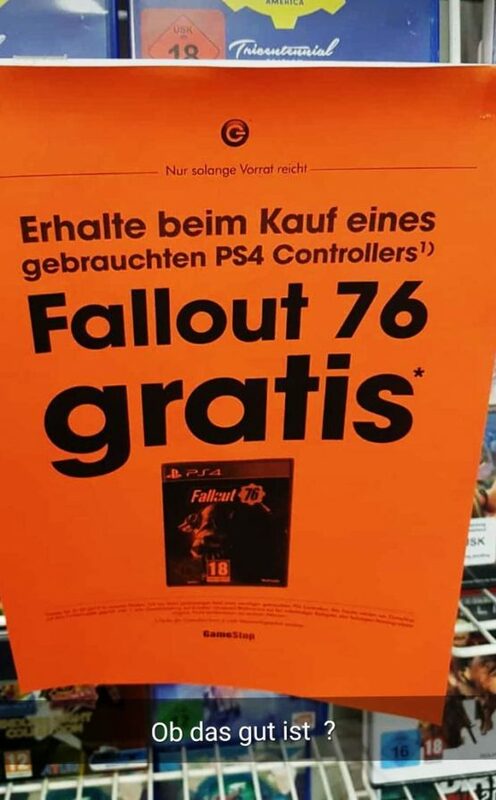 According to an image shared by Reddit user cenorexia (via Variety), GameStop Germany is offering copies of Fallout 76 with used DualShock 4 and Xbox One controllers, indicating that the retailer is trying to get rid of excess stock. While we’re taking this image with a grain of salt, we won’t be surprised if it’s real. Fallout 76 has had a troubled launch, to put it lightly, and has already received several price cuts in multiple regions. To top it off, publisher Bethesda faced intense criticism for a series of missteps, ranging from misleading advertisements to denying refunds to PC players who experienced game-breaking bugs. 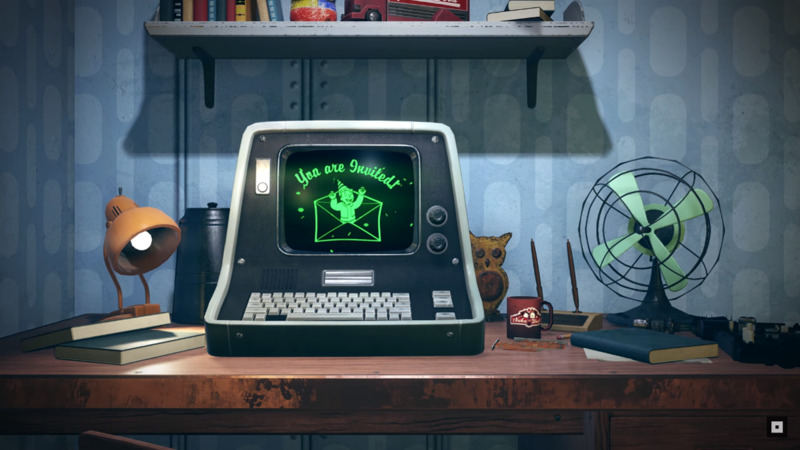 Bethesda has since been apologetic and Fallout 76 developers have been consistently updating the game. However, even that hasn’t exactly gone smoothly. Players found that recent updates reversed some of the fixes that were previously made, and introduced new issues to the game. We’ll update our readers when we have more information about this report. In the meantime, if you’re based in Germany and can verify this image, feel free to get in touch with us. Fallout 76 is available for the PlayStation 4, Xbox One, and PC.